Best. Staycation. Ever! 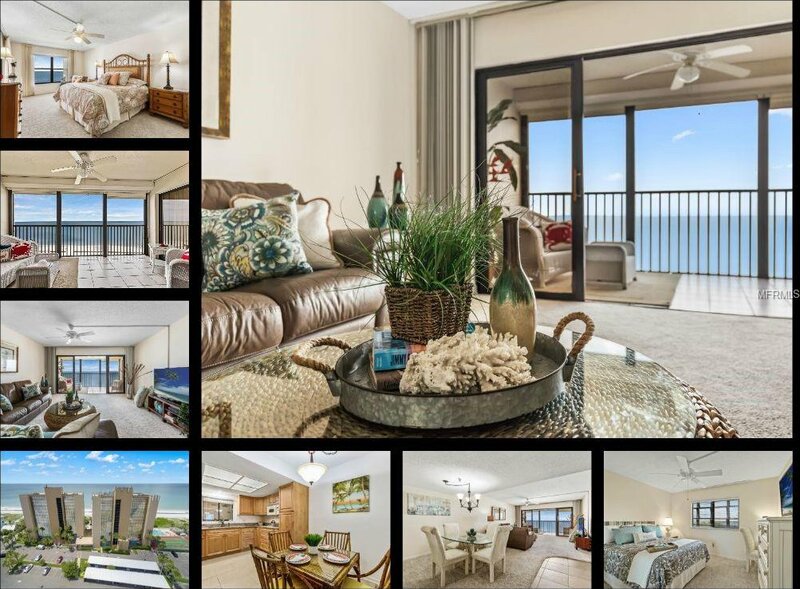 We’re so excited to present this direct beachfront condo with its endless views of the crystal blue water, unobstructed sunsets, and twinkling moonlight across the Gulf of Mexico. Everything about this condo is outstanding - the views, the location, the upgrades-not to mention the heated pool and spa! From your screened-in balcony, you have a front-row seat to the daily parade of dolphins and shorebirds, along with power and sailing vessels. Actually, you can enjoy the Gulf from the living, dining, kitchen or master bedroom and the intercoastal waterway from the guest bedroom. Kitchen and bathrooms have been updated with warm wood cabinetry and granite counter tops. Furniture, appliances & electronics are included in the purchase so you can close on Friday and start your beach vacation Friday night. The lobby and grounds are scrupulously maintained and the condo association has one of the healthiest balance sheets at the beach. Reflections on the Gulf has a secure entry, welcoming lobby, heated pool, picnic area, tennis court and unlimited beach access. Small pets and short-term rentals are allowed. The two-week minimum rental period allows you to maximize your investment through higher rates of rental income. This beachfront condo offers everything that you need to maintain a get-away-from-it-all retreat or an income property…or a combination of the two. Start creating the greatest memories of your life…right here, right now. Why are you still reading this? CALL NOW! Listing courtesy of BLACKBURN COASTAL REALTY. Selling Office: BETTER HOMES AND GARDENS REAL ESTATE ELLIE & ASSOC.